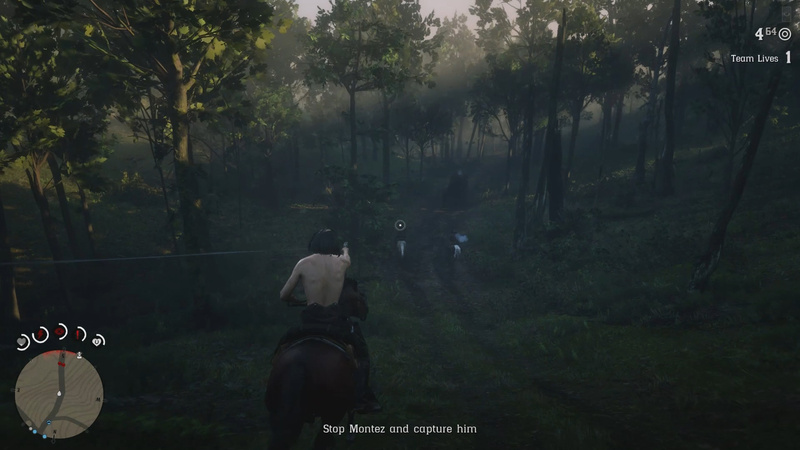 Once you complete the mission for the Marshal, you will need to find him again near Van Horn Trading Post in order to continue his questline. The next mission he gives you has you looking for Montez once again. Check out our Highly Illegal and Highly Moral guide below to complete this mission. You will find Marshal Davies waiting for you north of Van Horn. 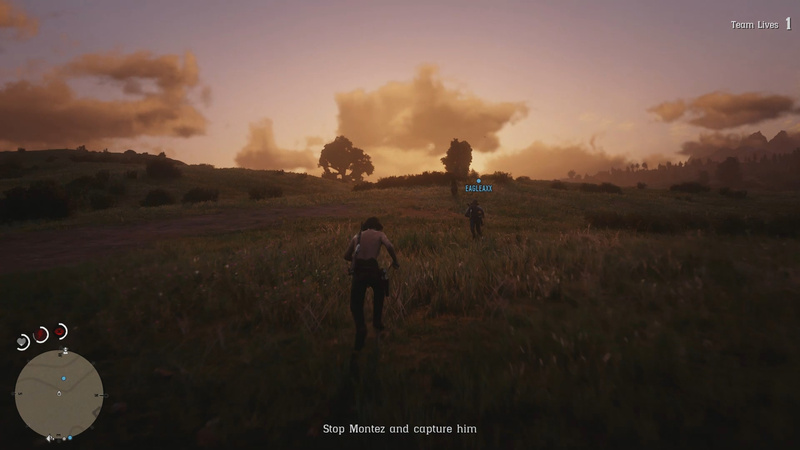 Marshal Davies asked you to meet him near Van Horn. He is on the trail of Alfredo Montez and he wants to finish things. Complete Mission in under 8 minutes and 30 seconds. Enemies taken out with headshots. When you start the mission you can go to either Van Horn or the camp. 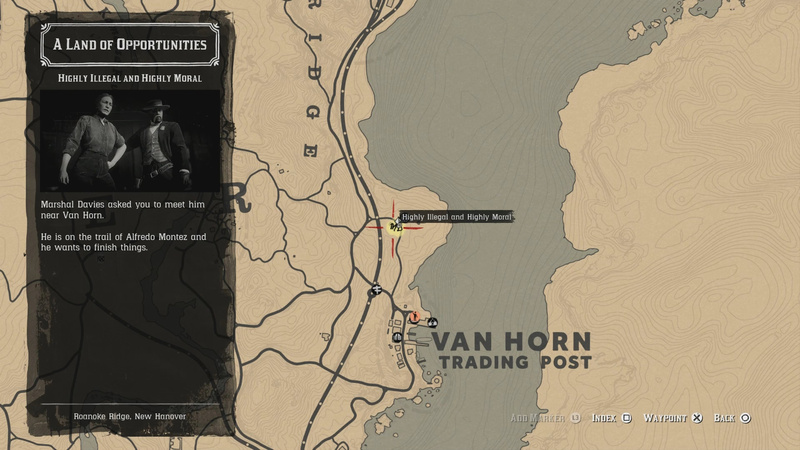 When you start the mission you are posed with a choice, visit two locations- Van Horn or the camp. To complete this mission you will need to go to both locations but at the start you can choose to go to either one to look for the Lieutenant. Van Horn is located to the south and the camp is located to the northwest of Marshal Davies location. 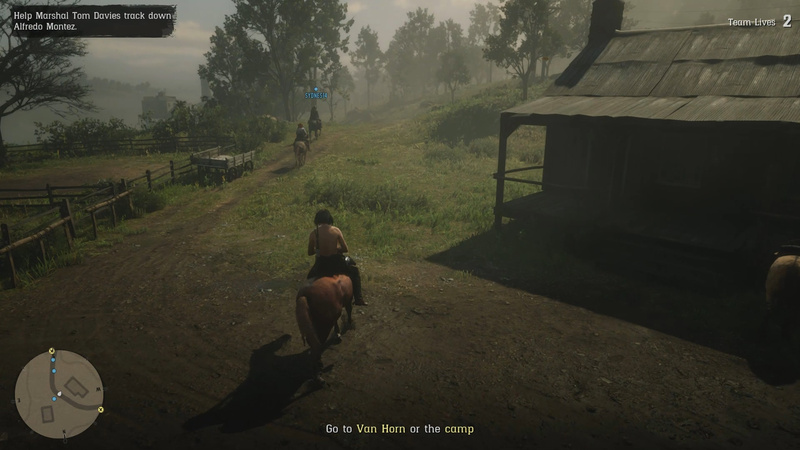 During my playthrough we had a person go to the camp while others went to Van Horn. This seemed to work fairly well (I will cover the town below and update with camp later). When you go to Van Horn you will see a number of enemies of the gang. 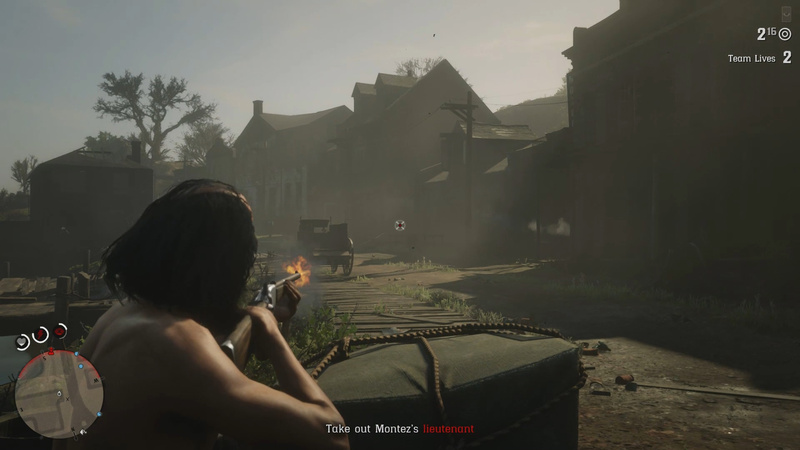 Upon reaching Van Horn you will get a new objective to take out Montez’s Lieutenant. How you approach this objective is largely up to you. If you engage with the enemies you see in Van Horn, you will start a large firefight with a number of enemies. If you stealth, you can follow Montez’s Lieutenant and avoid the gunfight instead. Regardless the goal of this scenario is to get to Montez’s Lieutenant and take him out. When you do take him out you will get a new objective to visit the Camp (I will update this soon). The last section of this mission is to ride out and catch Montez. Once you bring the caravan to a stop, Montez will run away from you. Lasso him to catch him. Once you’ve taken out Montez’s Lieutenant and cleared the camp, you will be told to return to the Marshal. Upon doing this, the Marshal will ride out with you to take out Montez. Montez and his gang are riding out in a convoy and you need to catch him out before he escapes. When you take out the caravan, Montez will run away. Lasso him and bring him back to the drop off. Want to add more to our Highly Illegal and Highly Moral guide? Let us know in The Pit below.